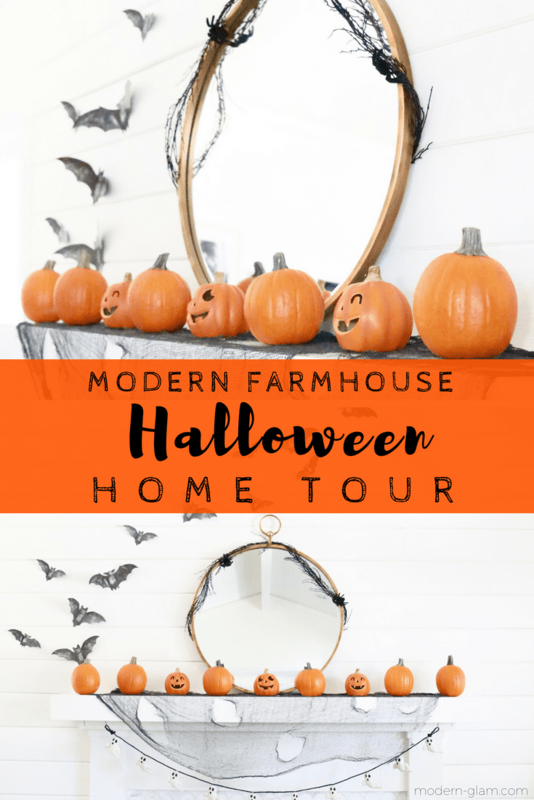 Come on in and tour my Modern Farmhouse Halloween Home! Halloween is one of my favorite holidays. And to say my kids like to decorate for it is an understatement! I swear this is the only time of year they actually agree to go shopping at Homegoods! They love wandering the aisles oohing and ah-ing at all the fun decor. This year I kept the decorations pretty simple. Some pumpkins and cute spooky lanterns was all that was needed for the front porch. A little revamp of the mantel and a scattering of spiders here and there inside! And of course fresh pumpkins all around. 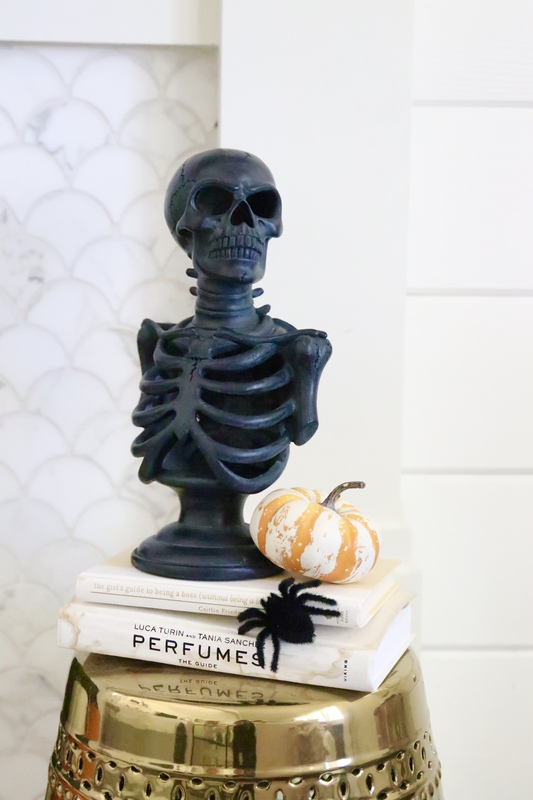 Come inside and see my Modern Farmhouse Halloween Home Tour! 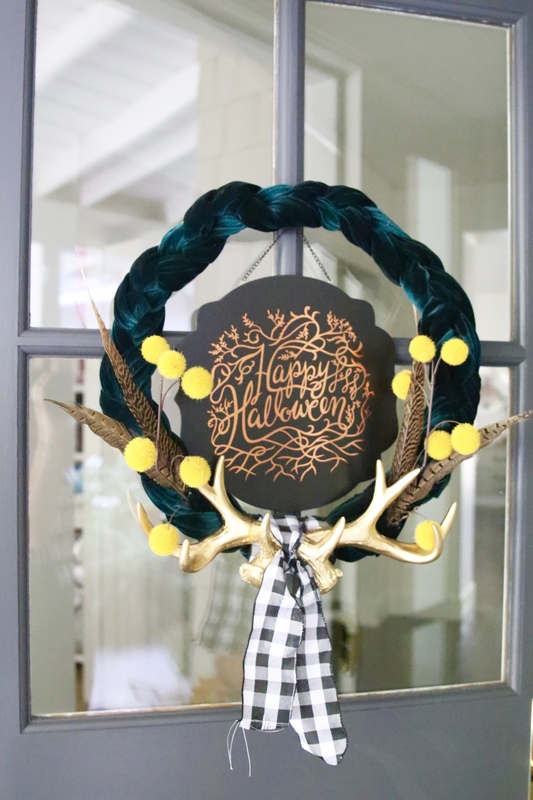 Have you seen the Glam Farmhouse Velvet Fall Wreath? I updated the wreath for Halloween with a quick swap out of the sign that I found at Target. 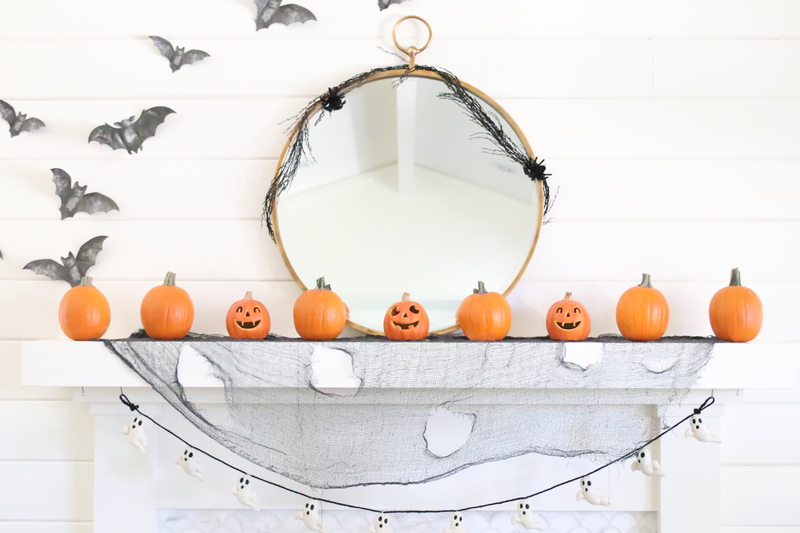 Simple and totally works with my Halloween porch! The other updates to my porch were some fresh pumpkins and these cute lanterns! The best part of fall is that you can start with the basics and layer in for Halloween and then for Thanksgiving. 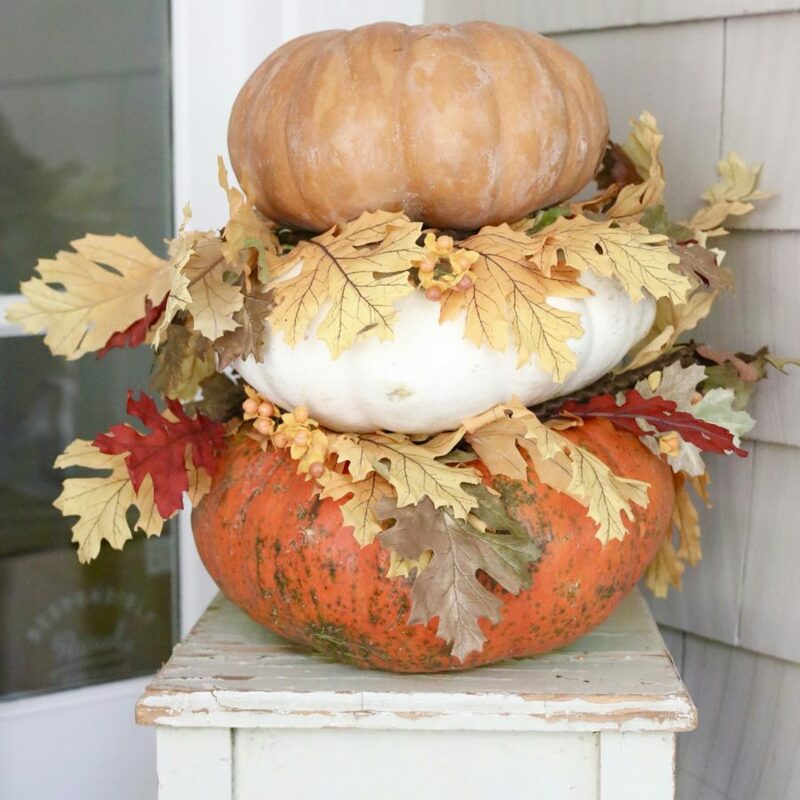 Working with the simplest elements (pumpkins and fall leaves) makes it so easy! 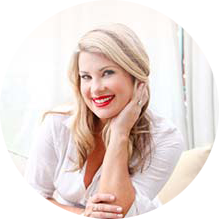 If you didn’t check out my Glam Farmhouse Fall Home Tour, click here. I loved all the soft velvets and colors I chose for last month. And don’t worry, those cute little pumpkins are hanging out on my dining room table. For Halloween I wanted to keep it pretty simple. 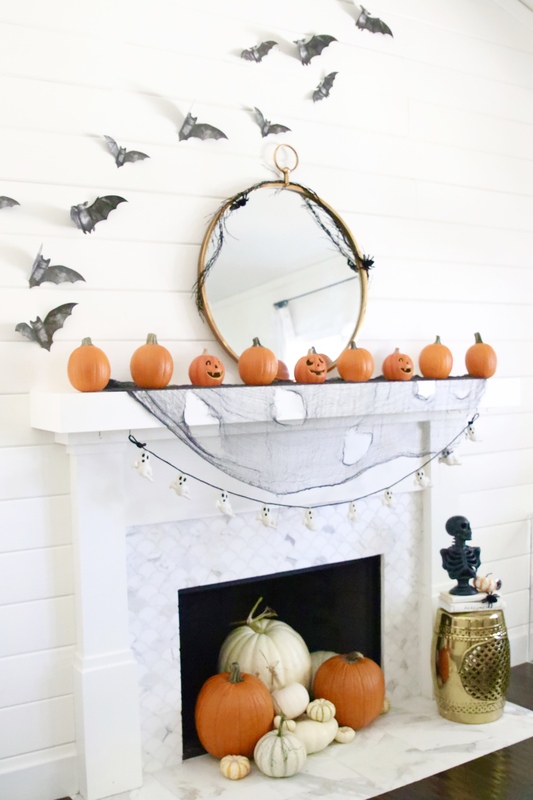 And with our huge white shiplap wall I knew I wanted to have spooky bats flying across it. 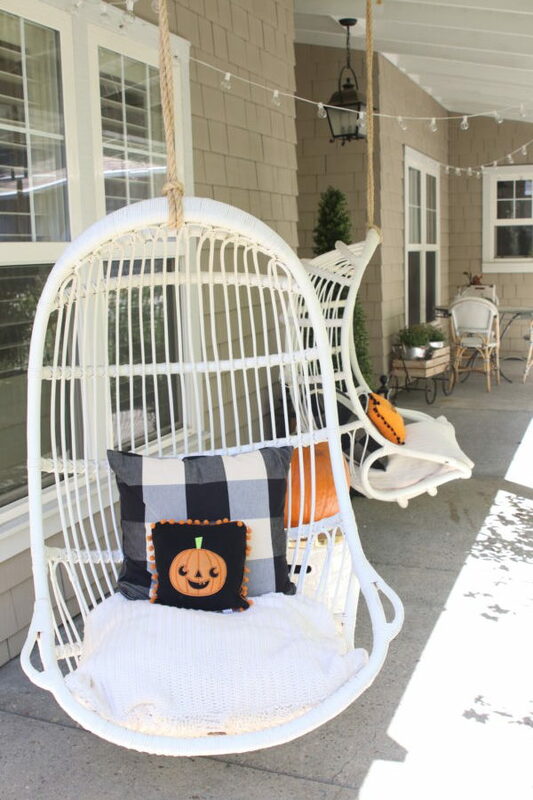 Add in a little gauzy fabric, and some orange pumpkins and the scene was set! I love how simple this looks, but still totally festive and fun! 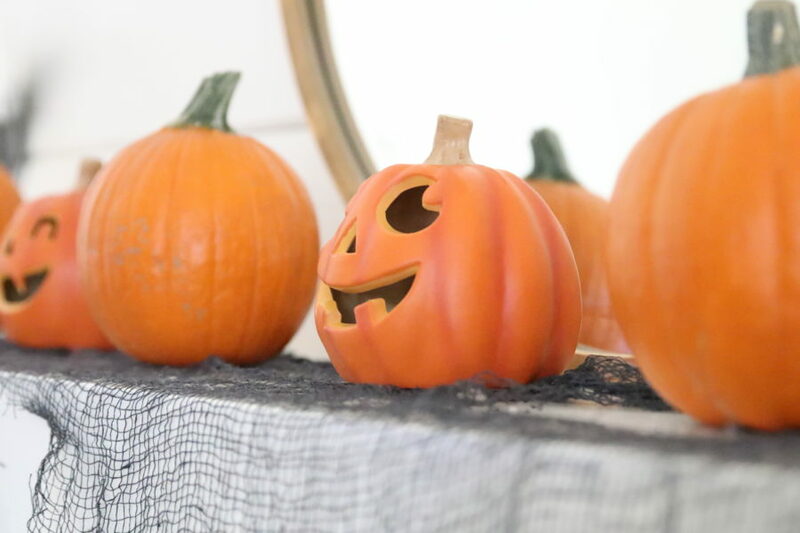 I picked up some Sugar Pie pumpkins from Trader Joe’s and added in these cute little Jack O’ Lanterns from Target to the mix. So simple! I love the way the bats look against the white background. So striking! And I found these bat cutouts at Michael’s as part of their Martha Stewart Crafts lineup. It was so easy to stick them to the wall with the glue dots that came in the pack! If you follow me on Instagram you will know that we recently updated our fireplace with new tile. Since the fireplace hasn’t been used yet for the season I decided to fill it with pumpkins! 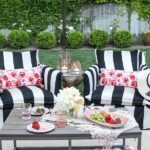 I love the way it looks and adds some depth to the space. And how cool are all the stems on these cute pumpkins? 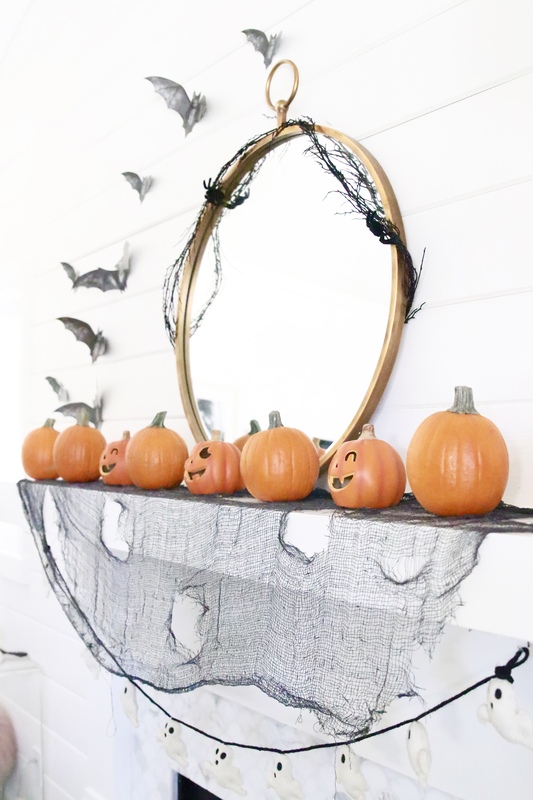 I’m thinking that I need to save them and use them for a little Velvet Pumpkin DIY next year! For the rest of the house, I kept things pretty much the same as last month. 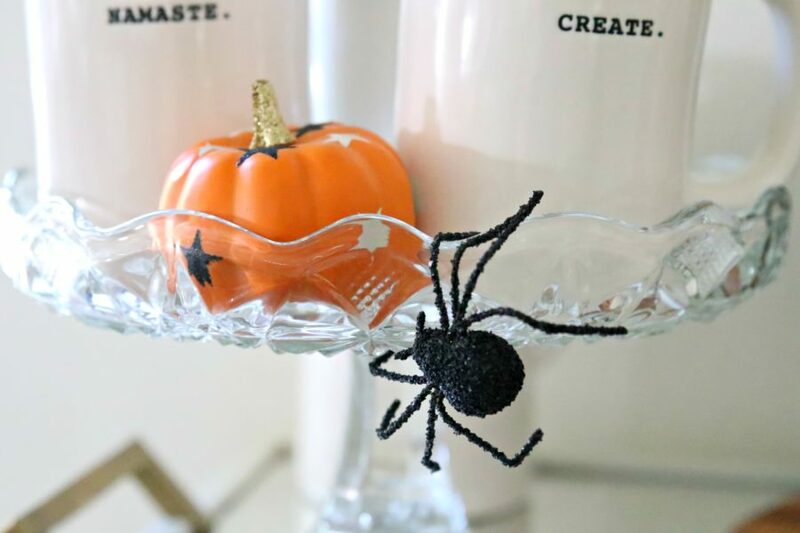 One quick update that I made that my kids love is that I added these glittery spiders around. And my daughter, Charley actually loved these so much she put some in her room to decorate it too. Ha! Who would have thought?! The love for decorating runs deep in our family! 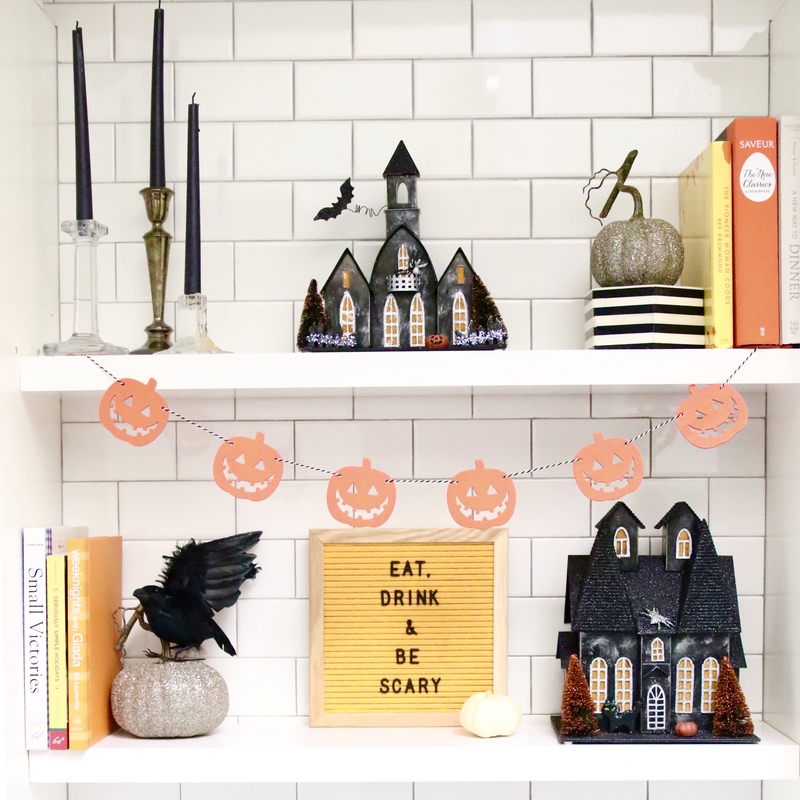 In the kitchen, I updated my shelves with these cute Haunted Houses and as many orange cookbooks as I could find in my collections. And of course a cute saying on my letter board. 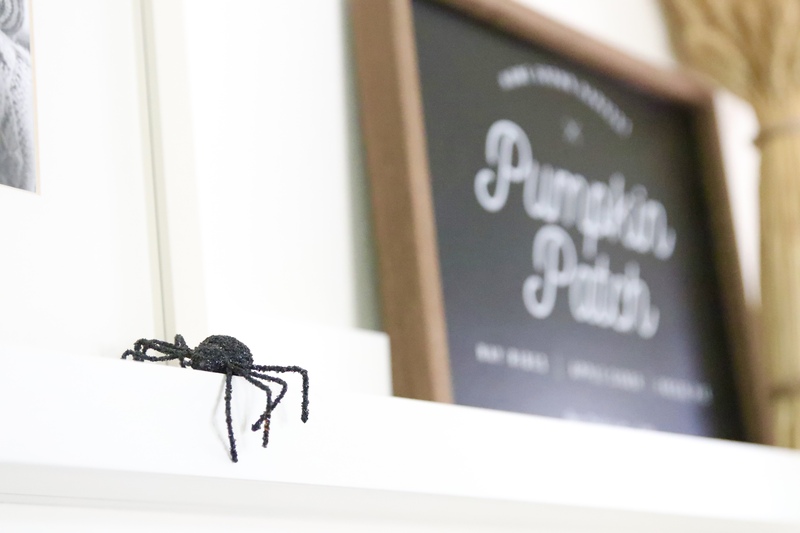 It’s so fun to have little bits of Halloween sprinkled throughout the house. My kids love it and the inner child in me eats it up! 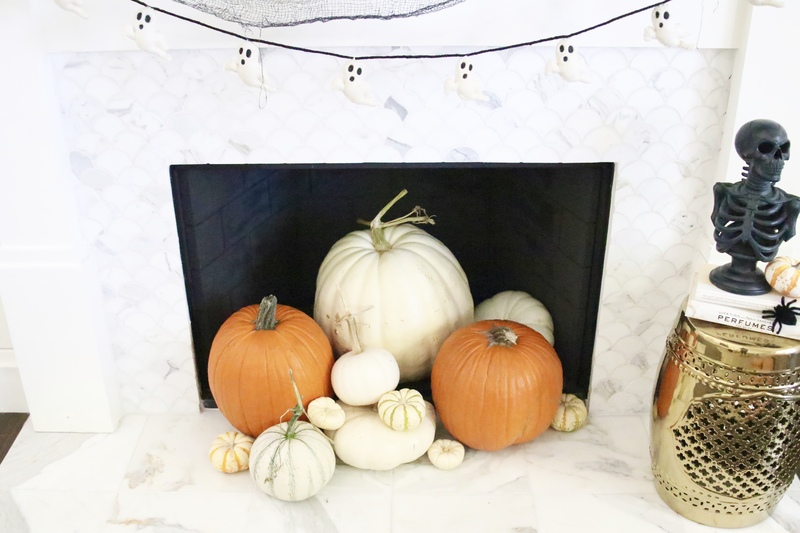 I LOVE THE FIREPLACE FILLED WITH PUMPKINS! 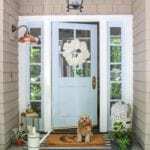 Love the velvet wreath, it all looks amazing! We did it! Your post is fabulous and I love your sign that says, eat drink and be scary! Too cute. 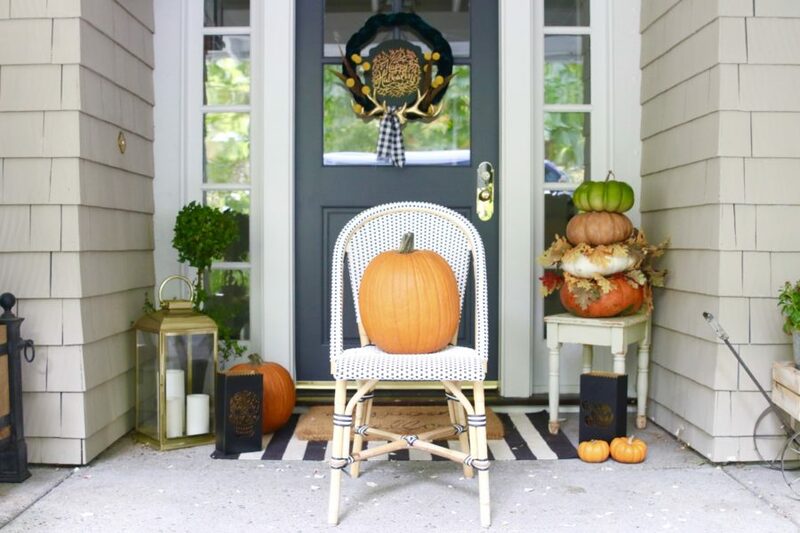 Your front porch is dreamy and I love your stack of pumpkins. 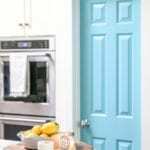 That is so pin worthy!!! 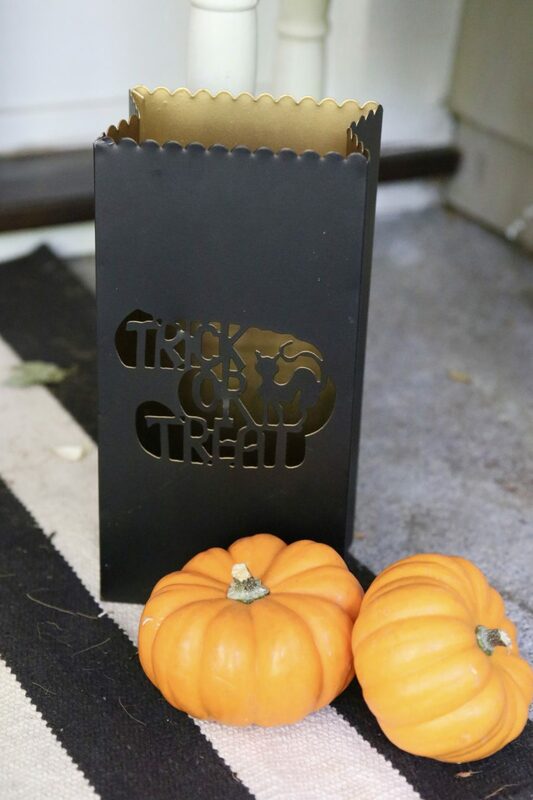 Thanks for joining us on the tour and for creating such a incredible Halloween post! Ashley, I love your GLAM halloween so much! You’ve totally inspired me with your mantle. I wasn’t even going to do halloween this year but like I said….you’ve inspired me! 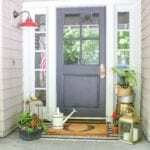 Even though your homes and styles are different I LOVE yours and am ready to swap out any day! 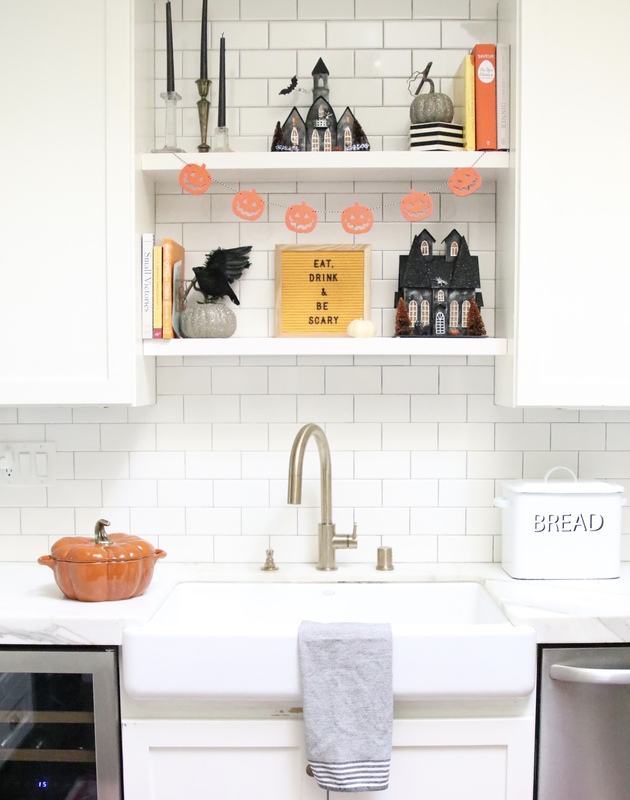 ashley, i love your spooky halloween decor! everything is decorated beautifully. 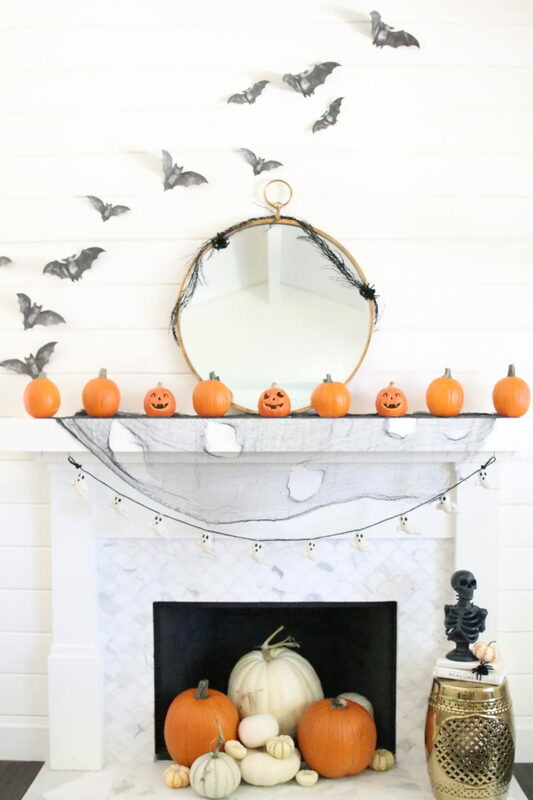 i especially love the pumpkins in the fireplace and the fluttering bats! I love your skeleton bust. What a great Home Goods find! Thanks Tauni! I love that skeleton – found it a few years ago!